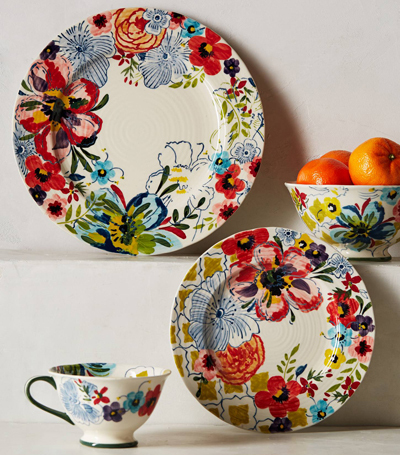 This Sissinghurst Castle Dinnerware features handpainted red pansies, yellow macranthas and blue niles that bloom year-round in your tableware garden. $14-$24. Buy here.